We make roofing better for everyone. or request measurements from our Sketch Ordering Service. We are a software company that was built from the ground up to provide solutions to problems we have seen in the roofing industry. We are driven to provide high quality applications for roofers and insurance adjusters. Why build software for the roofing industry? We build solutions for roofers because we are roofers... or, used to be anyway. We understand the needs of the common roofer and the advanced roofing estimators. We also understand the lingo and what tools make our lives easier. We infused this knowledge and expertise into our products to allow you to use them to help you grow your business and compete in a rapidly competitive market. We believe that good technology should become better & less expensive with time. We're driven to bring truly innovative products to the roofing industry. Our goal is to make your life easier & your company more profitable. The days of measuring roofs by hand or spending $50 for an overly detailed report are over. "I can't believe how easy this is. I'm at my customer's house doing a roof inspection, I pulled my iPad out, within 3 minutes I have all the measurements I need...AMAZING!!! The best part is, it only cost a fraction of what I usually pay. Who would have thought my iPad and this app could help my business this much!!! Very impressed." "This app is awesome and and has saved our organization thousands per month while providing exponential increases in productivity. My team loves it and we are blowing away the competition." "This app is GREAT! Very affordable and extremely accurate." "In my profession I would normally have to go to the customer's house, climb a ladder and hand measure their roof. Now with this handy app, I simply pull up the location, sketch the roof and enter the "pitch" all while sitting in the safety and comfort of my truck." 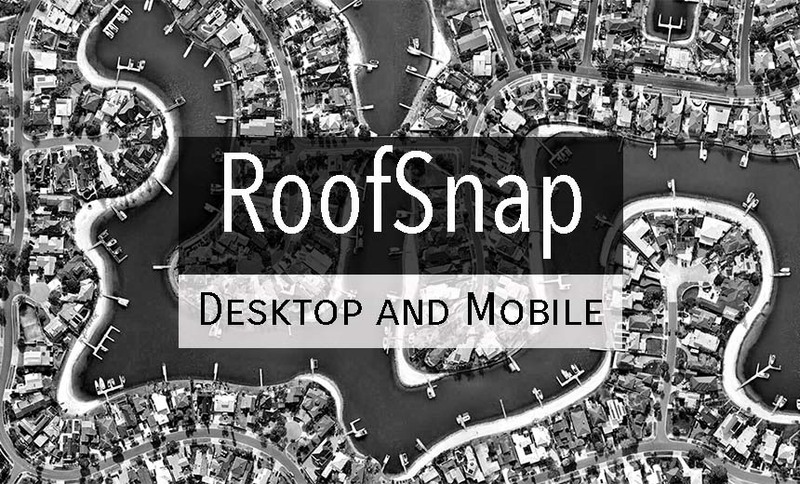 RoofSnap is the best roofing application available for your computer or mobile device. Create accurate aerial roof measurements, estimates, material orders, contracts, and more. RoofSnap's mobile app for Android and iOS is a great tool for insurance adjusters and roofers to use in the field. RoofSnap can also be accessed from your desktop or laptop browser and is optimized for use on the big screen. From simple to complex roofs, you can easily measure and estimate with RoofSnap in less time than it takes to receive a report from another source. Not a fan of drawing the roof yourself? 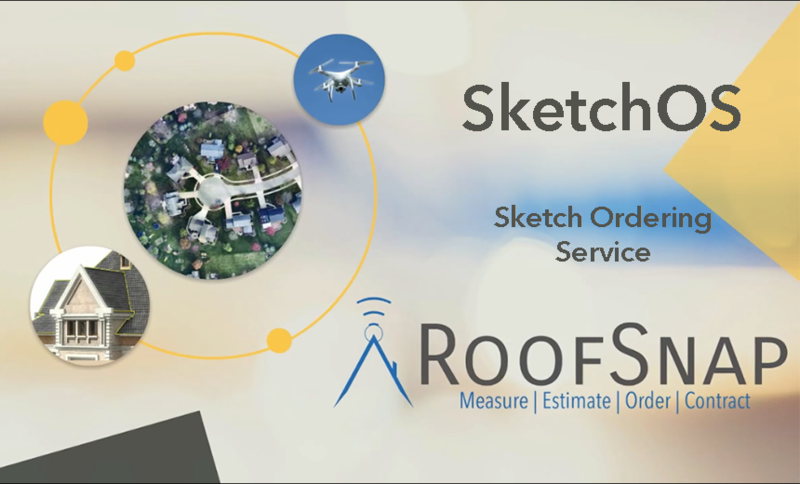 You can order roof measurements from RoofSnap and our SketchOS technicians will create the measurement diagram for you. Within hours, the completed project is uploaded into your RoofSnap account. The sketch is a dynamic, fully editable drawing that you can customize with inspection photos and notes and use to create an estimate in RoofSnap. Then, have your customers sign the contract right on your device. Check out our pricing page to see the value.